Today the city reaches its destination. Picking up straight after season 3’s finale the city is trying to get itself back online while the infirmary tries to stop Weir from dying and Ronon from biting at his stitches as it were. Things begin going from bad to worse for both sides as the science teams find that the city is losing what little power it has left while Weir flatlines on the way to the infirmary, with the team barely able to stabilise her condition. The science team, unable to fix the damage causing the actual power loss, attempts to shutdown non-essential systems but the city itself begins going into its “last gasp” mode and slowly withdraws the shield to the core areas which ends up cutting off members of the Expedition in hard vacuum. Once everyone else is safe back in the central tower the order is given by Sheppard to quicken the withdrawal of the shield to only the central tower so more power can be saved. Elsewhere in the void between galaxies the Midway Space Station is being finalised, with Carter and Dr Lee on board to finish the programming and work out the kinks in the key systems. The two of them find themselves contacted by Ellis on the Apollo who reports that the city is missing. After breaking off contact with Ellis the two SGC scientists try to think up a plan to contact the city. Back on the city Weir condition grows worse, forcing Dr Keller to operate on her when her brain swells to ease pressure on it. Regarding the city’s power issue Meredith brings good news in that systems they need to get moving are all functional but the bad news is that the power conduits that are damaged have to be repaired first. While this is possible the city faces more issues when they find that they’re heading towards an asteroid field and can’t bring the shields back nor access the control chair to use drones from the city to clear a path. Instead every member of the Expedition with the ATA gene is drafted to use the drones from Jumpers to clear the path which they largely manage to do with the unshielded parts of the city only taking minor damage at most from small remnants of the larger destroyed rocks. Unfortunately upon return they realise they have another problem. Landing in the Jumper bay Meredith and Sheppard are soon told that not all rocks were cleared and now more damage needs to be repaired before they can use the hyperdrive, forcing Sheppard and Zelenka to go for a spacewalk to another part of the city. 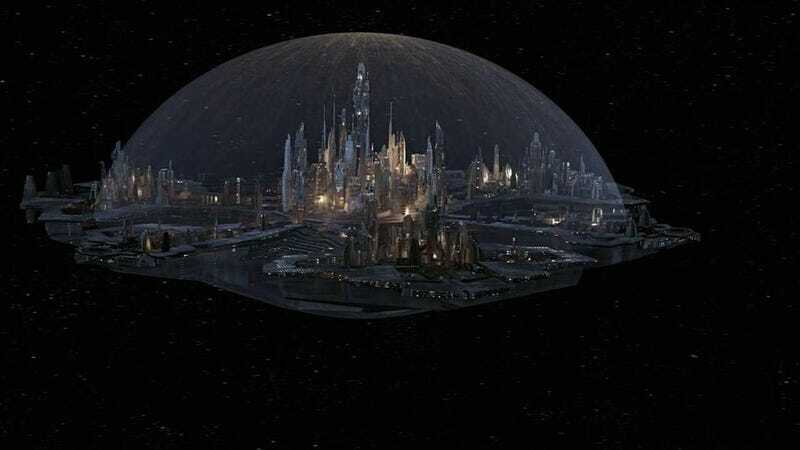 As they work on the crystal tray micro asteroids begin tearing through the city and eventually Zelenka’s leg as well. The delay caused by Zelenka’s injury causes the repairs to take too long and they fall below minimum power needed to make it back to hyperspace, leaving them stranded. Back in the city however Meredith is contacted by Keller who wants to use the nanites still in Weir’s body to “fix her” as its their only option left to save her. The problem however is that they can’t be shut off once activated without killing Weir in the process. Though Meredith tries to find a way around leaving the nanites on Weir’s worsening condition forces them to activate them early, leaving Weir’s fate tied to them. When Sheppard returns the two colleagues fight about the decision only for Weir to recover and also agree they shouldn’t have done it. As the team sit around wondering what to do Meredith has a brainwave. Turns out when he went all supergenius he tried to fit a hyperdrive to a Jumper and thinks they can get it working, allowing them to take that on a trip to get a ZPM from the only source they can, the Asuran homeworld. Adrift is a strange opening episode for the show in that compared to both SG-1 and previous seasons of Atlantis it feels very much filler and non-consequential in tone. Despite the 45 minutes of episode we end up in the same situation at both the start and end of the episode, with the city still stranded in the middle of nowhere and with failing power. Despite the filler status however the episode is action-packed and tense, seeing the team up against the clock when it comes to saving power and therefore the city along with trying to keep Weir alive due to her failing condition. The Weir situation is definitely the more straight-faced of the two strands of the episode, never leaving a tense and sad feel as characters say goodbye to her and the med team under Dr Keller try and keep her alive when she crashes multiple times. The city strand however plays fast and loose with the tense aspect and instead begins to openly mock the constant threats they face, with Meredith always speaking “too soon” and seemingly causing the next problem to appear. It’s a good contrast to the more serious parts of the episode which quickly descend into the mire of Replicators and other threats once more. When Meredith disappears in the latter half of the episode Zelenka tries to fill his boots but the tone is dramatically changed back to super-serious which gives both sides a similar feeling and makes them more dreary. That’s not to say they both aren’t still good in their own right but together it sort of tilts the episode off course slightly with how it started. The place where the episode drops the ball with the main story is that introduction of Deus Ex Hyperdrive-enabled Jumper. The show has always used new machines and inventions in episodes and arc but I don’t think an episode has ever before invented the “get out” mechanism in the last 4 minutes of an episode. If this had been mentioned far earlier then I could get on board but this really did feel like they’d forgotten how to solve the problem so inserted the first thing that came to mind. Outside of this we have a couple of short sequences featuring Carter and Lee which are fun but at the end of the day rather pointless for the episode. Maybe this was a contractual thing to fill out Tapping’s appearance count. Still overall it’s a good episode, even if it doesn’t have much to do or say. It fills up the 45 minutes well and has some great scenes but not much of it is memorable or required watching for the later part of the season. · Meredith needs to stop opening his mouth. · The wire work in this episode is quite obvious. We pick up again right after the last episode with the team enlisting Weir’s help in obtaining a ZPM from the Asurans as they’ll need her nanites to gain access to the planet and locate them. Despite her earlier concerns regarding waking her up she agrees to the plan, her nanites having a kill switch to prevent them using her which she asks Sheppard to use if at any point she seems to go rogue. Sheppard however asks Teyla to stay behind and help run the city if they don’t come back, Zelenka thinking they might be able to evacuate with Jumpers to a nearby planet. Ready and the Hyperspace Jumper working the team take it for a spin and jump to the Asuran homeworld. Elsewhere Carter and Lee arrive in the Pegasus galaxy to be picked up by Apollo before Lee can take a photo. It turns out they plan to modify the sensors to increase their range so they can try and search for the city somewhere along its flight path. Meanwhile the team arrive at the homeworld and begin to look for the ZPMs, with Weir gaining Neo vision to help them find it, finding one hidden in an out of the way area that should have few guards. Landing the team split up, with Weir and Meredith staying on the Jumper while the others get the ZPM. Sheppard and Ronon easily recover the ZPM and get back to the Jumper only for Meredith to decide to access the Asuran core code to reactivate a command that should make them attack the Wraith rather than sit at home doing nothing but would require going down to the center of the city and would likely be detected. Adapting the cloak into an Anti-Replicator field they manage to gain access to the core room and begin their plan of attack, only for the Asurans to begin throwing themselves at the field to try and overcome it. In the core room they find that their computer wont interface with the core and instead they have to manually do it but by then the Asurans have broken through the field. In the Jumper Weir suddenly decides to leave and Meredith finds that the killswitch no longer functions. In the Asuran city it turns out Weir has confronted and taken control of Oberoth, causing the Replicators to freeze temporarily as she does so. This buys enough time for the team to upload their changes to the core code but not enough time to escape, with the team being captured by Replicators when they suddenly unfreeze again. It turns out however this unfreezing had been a trick by Weir as she’s inside Oberoth’s mind and the team had successfully begun to escape. The others attempt to rescue Weir as well but she’s forced to stay behind to allow the others to escape. Back in the Jumper the three remaining members of the team try to get to orbit only to be stopped by an Asuran ship. This itself however is suddenly attacked by the Apollo, the larger ship having found the city and heard about the plan, providing cover for them to escape. Back on the city they plug in the ZPM and transport the city, now back to full power, to their new planet. With Sheppard now in the control chair they’re able to successfully bring the city through the atmosphere and land it on their new home. That night while Carter, Lee, and Meredith are able to dial the SGC and re-establish contact with the Milky Way, Ronon and Teya pack away Weir’s things. Out on the balcony Carter delivers sympathies from Landry to Sheppard who vows to try and find and rescue her. So here we have the mainstay of the “city stranded in space” arc and it’s definitely a more meaty and fast-paced episode but it’s also sadly a far more flawed one compared to the previous episode. The majority of the episode takes place as a heist on the Asuran homeworld to grab a ZPM to allow them to save the city and get it to its destination and this surprisingly goes off without a hitch and is a great bit of tension. It then goes slightly off the rails however by deciding to have the team suddenly stick around and make the stupid decision to once again try and mess around with Replicator code. How many times have you done this team! How many times has this gone right! This decision really does feel nothing more than shoved in to add a way for Weir to get recurring status in the future given that the character was on the way out. Literally everything feels forced for this to even happen and then it feels forced for it to fail so badly that Weir is captured and can’t escape despite previously having held the entire Replicator planet hostage. It’s a shame what was a great little plot is massively expanded and can’t really cope with its new size. Elsewhere we had a minor plot involving Carter and Lee again and this was again fun to watch but had very little to do until the end of the episode where we find the most of their actual involvement all happened off-screen for some reason or another, only turning up again in the nick of time to save the team. The episode would’ve likely been better if they’d reduced some of the heist stuff down (or rather scrapped the Replicator code stuff altogether) and instead had more of the Apollo trying to find the city. The end of the episode however is very well done, with a dramatic and tense dive into the atmosphere of a planet and its landing on the surface of a new ocean world. It’s still even now a very cool looking sequence and fun to watch. This is soon followed by some sombre reflection as the team try to come to terms with Weir’s loss but again this is hampered by how little time is dedicated to it by the writers. Overall it’s an exciting episode with lots of cool visuals and moments but its story is a bit of a mess with forced errors by the team caused by the removal of certain cast. · Lee really likes World of Warcraft. · Meredith really does spew utter crap. · I see the Apollo hasn’t gotten the Asgard upgrades yet.